Mamaowl's Mess: Off to w@rk, then??? 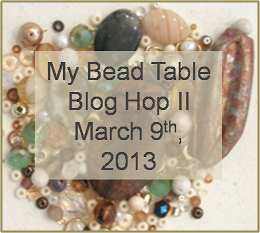 Back from my much needed long weekend without beading--- Webpage up and blog officially running so can't say without work. Off to the job that pays my insurances, etc. (5-2) then...? Probably sewing my new tablecloths. I lucked out and found 2 more "mamaowl" panels. After all, the only show I try to watch every week is on tonight- not pre-empted by the elections. So sewing in the living room it is so I can watch Jethro, Dinozo, Abby, and crew :) Oh, and getting swap box 1 out and P2P swap holiday colors out on my BeadSwapUSA exchanges... Have a great day everyone!